The global leading company in integrated communications solutions and embedded electronic solutions, Motorola has recently launched two new additions to its impressive bluetooth companion family, called as H680 and H375 bluetooth headsets. Both of them features a new TrueComfort technology which the company claims to better fit the user’s ear and improve audio by mechanically isolating the speaker and bringing it closer to the ear canal to channel sound. In addition, both latest bluetooth headsets also includes Motorola’s Easypair feature that allows your cellphone to pair with your headset automatically whenever you switch it on after an initial connection is made. “The H680 offers experienced Bluetooth headset users performance, style and looks in an absolutely discrete size. Alternatively, the H375 offers first timers to Bluetooth headsets a simple, reliable option with a battery check function,” said Gillian Tune, General Manager, Accessories, Motorola Europe. 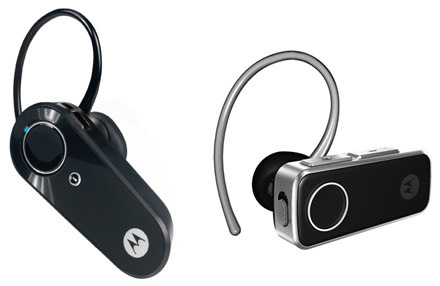 The new Motorola H680 bluetooth headset is available for $80, while the H375 is costs only $40.